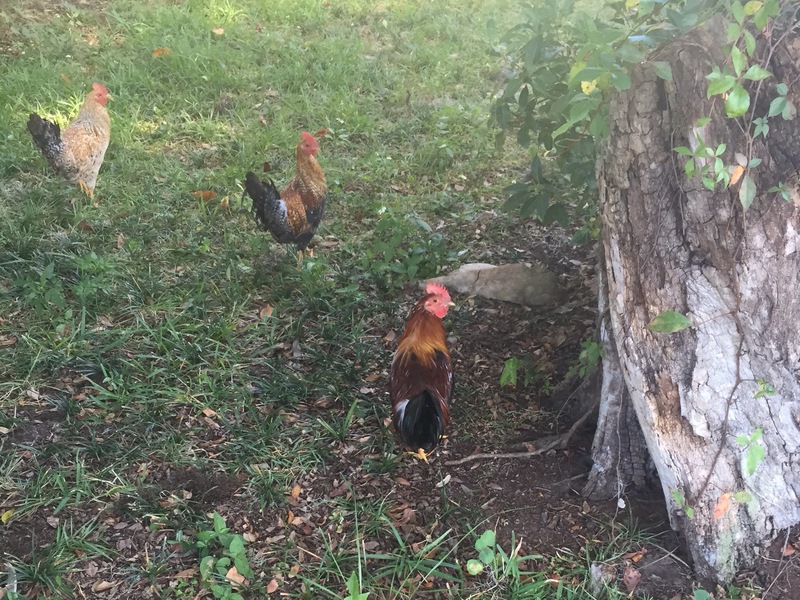 These chickens live across the street from me. Technically across two streets and a canal, I suppose. 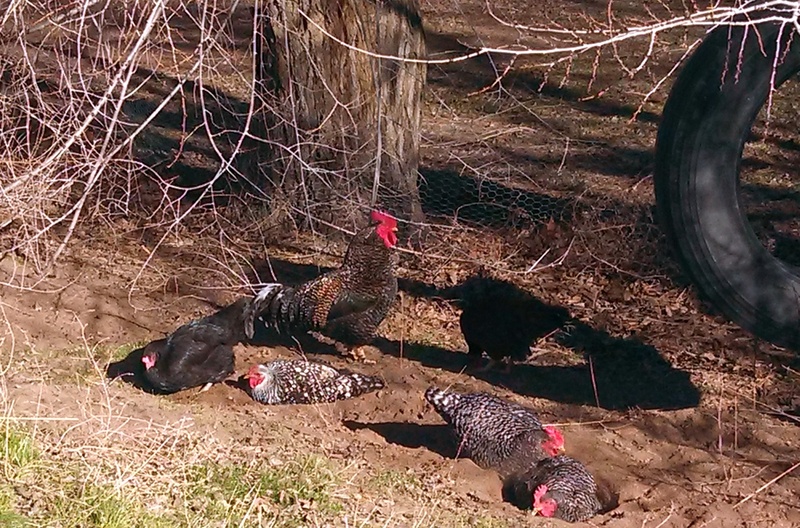 I get to watch them wander around in the road and into the canal (when it’s dry; they’re not big into swimming) and the rooster is not my best friend in the summer when I have the windows open… But they are very handsome and I really need to start carrying my real camera because the phone picture on barely does them justice.